EduSpiral counselled me online and met me at KDU College Penang to take me around the campus. It helped me a lot in making the right decision. Rapid changes in technology, the emergence of economic powerhouses such as China and India, shifts in income and age distributions, and the globalisation of business mean that decisions you make in your business career can have far-reaching implications. The rapid changes undergoing in the world economy today demands the need for highly trained and dynamic professionals in the field of business administration. Undoubtedly, decisions that managers make now have a greater impact than ever before and thus their importance is immeasurable. 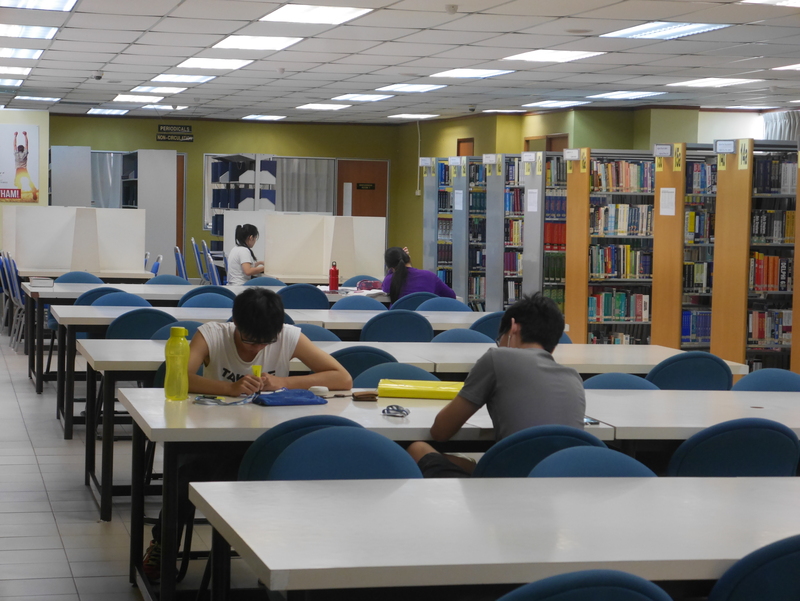 Globalisation in the Internet age has made the need for graduates to have an understanding its effects on the Malaysian economy. For example, a solid grounding in business degree will help the graduate understand the effects of America’s or Europe’s economic slowdown on Malaysian economy. Globalisation has increased the need for Malaysian graduates who can communicate well in the English language, the main language in the business world. In order to write proper reports and proposals for top Multinational Companies in Malaysia, presentations to stakeholders and clients, persuade top clients for investment possibilities, a graduate needs to be able to write and speak effectively in language. 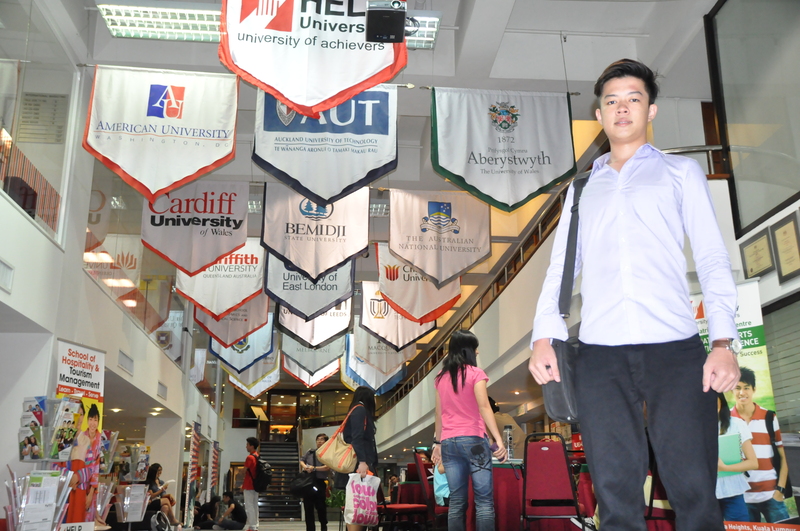 EduSpiral explained the pathway to become an actuaries & gave facts on why Heriot-Watt is the best for actuarial science. We also toured the campus and hostel. understand the larger context in which business plays an important part. A popular course is the Business Administration degree where you will learn the fundamentals of business like accounting, marketing along with broader skills such as business policy and leadership to make you a more well-rounded individual and give you a wider portfolio of capabilities to succeed in the Malaysian business world. The Business Administration degree programme in Malaysia covers general business subject areas such as Human Resource Management, Finance, Marketing or Business Systems. A some universities, you may specialise in an area that fits your interest and career goals. Careers in business in Malaysia are both exciting and varied. Most are classified by function. Finance, for example, which basically involves lending, investing and raising money, embodies careers like financial analysis, commodities trading and bookkeeping. Another functional area of business is marketing which involve creating and implementing strategies to meet consumer demand. In this fast-paced, competitive field, you may choose a career as a market researcher, human resource manager, business development manager or public relations manager, to name just a few. With the advent of the computer age, knowledge in Information Technology is of vital importance to the business man or woman who wants to move ahead. The major in business systems use technology to manage the flow of information and combines business elements with principles of computing. Speed is of utmost importance in business and with an understanding in IT, the manager is able to communicate and disseminate information with e-mail, obtain information via Internet, video conference with businesses across the globe, and more. This increases the need for graduates who have an excellent command of the English language to be able to communicate to a global audience. To remain competitive on a global level, there will be an even greater need for educated, internationally experienced business people to lead organisations successfully in the future. The increasing internationalisation of business education requires graduates with cross-cultural skills, IT knowledge and skills, broad understanding of business, marketing strategies, excellent command of the English language, all of which are important assets. The choices that you decide now after SPM have great consequences in your future career in the business world. To be successful, you need to strengthen yourself where you are weak and increase your knowledge and skills. You should invest a bit of money for a solid business education in a university with an international student and English-speaking student environment. What you do now, can either make you into a successful businessman or just an ordinary executive trying to get that elusive promotion because you cannot write a simple proposal well in English. Heriot-Watt University’s 190-year history began in 1821, when they established the world’s first Mechanics Institute (the School of Arts of Edinburgh). Find out about the history of Heriot-Watt. 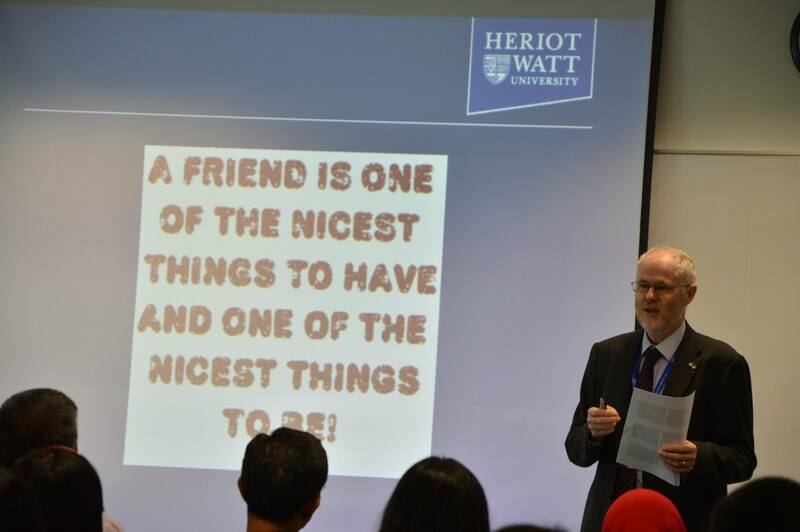 Heriot-Watt University is one of the UK’s leading universities for innovative education and is recognised internationally as a centre for high-calibre research. 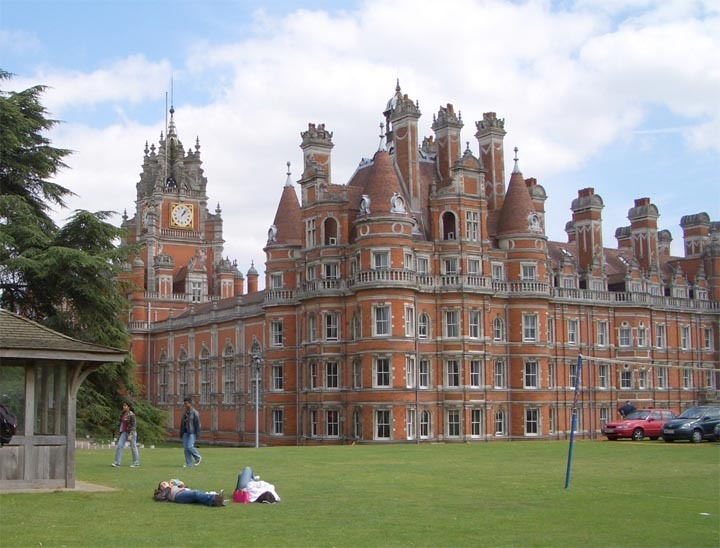 Students in Malaysia can now get a business degree from one of the best universities in the UK. Heriot-Watt University Malaysia’s new state-of-the-art green campus is located in the beautiful and safe area of Putrajaya. 63rd in the world, 10th in the UK and 2nd in Scotland in The Times Higher Education ‘100 Under 50′ 2013 (University Royal Charter awarded in 1966). 22nd in the world, based on the ‘international outlook’ indicator in the World University Rankings in the Times Higher Education – World’s Most International Universities. administration and is well suited to those seeking to attain professional expertise in the general management area. The program focuses on preparing students to be future managers undertaking challenging roles in a global business environment..
Those wishing to further their academic career may proceed to a specialist postgraduate program, e.g. marketing, administration, human resources, international and / or public sector management. Students in Malaysia can get the best of Australian Business education without having to go to Australia. 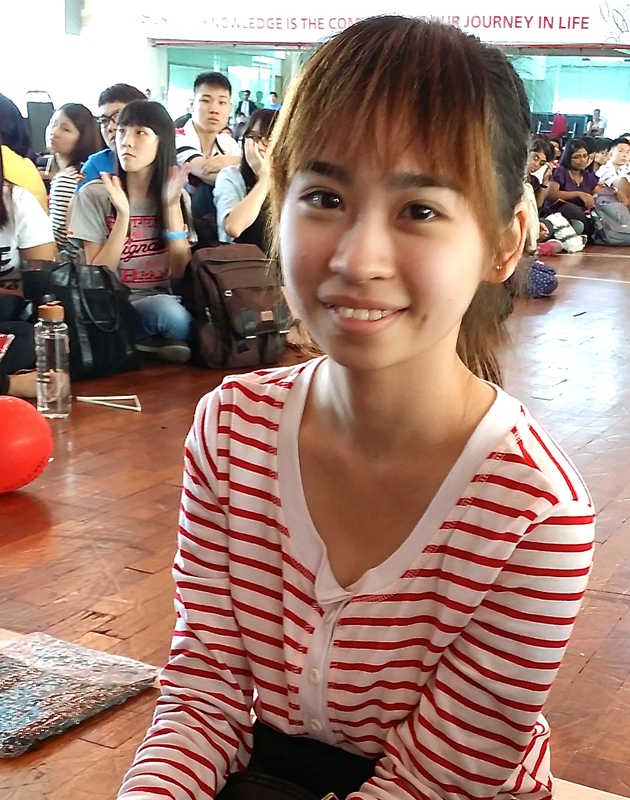 Studying in a conducive and safe 300-acre campus in Miri, Sarawak, students obtain a holistic education. Curtin University Sarawak is rated Tie5 or Excellent in the SETARA 2013 ranking of universities in Malaysia by the Malaysian Qualifications Agency (MQA). Curtin is ranked in the top 2% of universities worldwide in the highly regarded Academic Ranking of World Universities (ARWU). In 2014, Curtin’s position increased by more than 100 places to equal 303rd in the world and equal 10th in Australia, which was the biggest increase of any Australian university. Curtin also climbed to 360th in the world and 9th in Australia in the latest University Ranking by Academic Performance (URAP), and is positioned at 453rd in the world and 13th in Australia in the National Taiwan University Ranking (NTU). Curtin ranks 331st in the QS World University Ranking (QSWUR) and 397th in the Times Higher Education World University Ranking (THEWUR). The University is also equal 10th in the THEWUR: 100 Most International Universities in the World ranking. 50 and THEWUR: 100 Under 50. In the QSWUR by Subject, Curtin has two subjects featured in the world’s top 50 – education in 37th place and earth and marine sciences in 40th place – with 14 other subjects ranked in the top 200 worldwide. Curtin was also awarded five stars overall in the 2015 QS Stars University Ratings. Curtin is one of only two Western Australian universities to rank in the prestigious Shanghai Jiao Tong Annual Ranking of World Universities (2011). It is also one of the two Western Australian universities to rank in the Times Higher Education’s 2011-2012 world university rankings. Many of the challenges that face the world today demand an interdisciplinary approach. The dual degree offered at KDU College Penang gives you the option to combine business management with either finance or marketing, will ensure you have all-round education. industry leaders, you will acquire critical-thinking abilities and business skills that will ensure your employability in a competitive employment market. The modules are marked at KDU College Penang and the results are moderated by the Keele Management School. The staff from Keele Management School visit KDU twice a year to meet up with the staff and students ensuring quality delivery of the programmes. In May 2012 Keele was listed by the Times Higher Education (THE) magazine as among the world’s top 100 new (50 years old or less) universities. The periodical stated that:”The100 Under 50 aims to show which nations are challenging the US and the UK as higher education powerhouses – and offers insights into which institutions may be future world leaders”. In September 2012 the university was named as one of the UK’s top 30 universities in the Sunday Times University Guide. In the 2014 League Table Ranking for Business Studies by the Complete University Guide, Keele University is ranked at 38th. In the 2013 League Table Ranking by the Complete University Guide, Keele University is ranked at 46th overall. In the 2013 League Table Ranking for Business Studies by the Complete University Guide, Keele University is ranked at 39th. 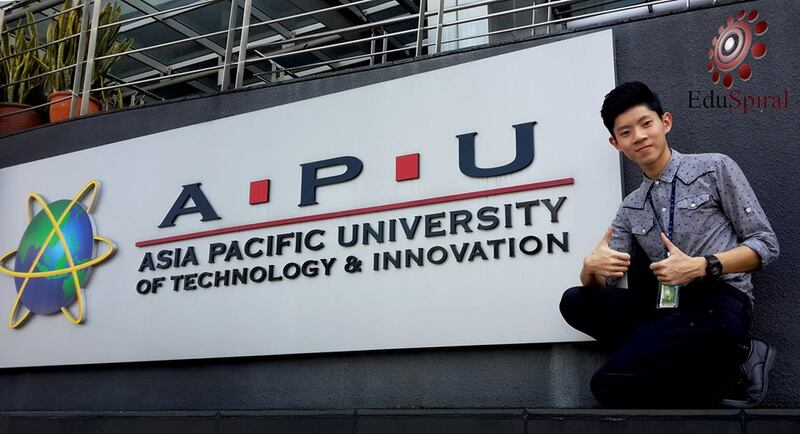 The Asia Pacific University of Technology and Innovation (APU) is among Malaysia’s premier Institutions of Higher Learning – this is a University where a unique fusion of technology, innovation and creativity works effectively towards preparing graduates for significant roles in business and society globally. The Dual Degree Programmes are offered through a unique collaborative partnership between APU and Staffordshire University, United Kingdom, through which Staffordshire accredits undergraduate programmes that are designed and delivered by APU. APU’s new ultra-modern University Campus located within Technology Park Malaysia (TPM) set to be ready in early 2015. Their students have won the Microsoft Imagine Cup (Malaysia) for 2010, 2011 & 2012 and have represented Malaysia in the Microsoft Imagine Cup (World) competition. For 2011, they won all the top 3 awards. My friend introduced me to EduSpiral because for a long time after SPM I still did not know what and where to study. EduSpiral took time to explain the courses to me and even took me around the university for a tour. The Faculty of Business & Information Science (FoBIS) is one of the largest faculties in UCSI University and is also recognised as a member of the AACSB International (The Association to Advance Collegiate Schools of Business). The BA (Hons) in Business Administration offered at UCSI University prepares students well to face the challenges of the business environment with its unique Co-Op Programme that sends her students to companies for 2-months for each year of their degree studies. Students at UCSI University have internships for every year of their studies with more than 1000 companies to choose from. UCSI University seeks to promote interdisciplinary approaches – a strategy that has contributed immensely to many of their students’ achievements. 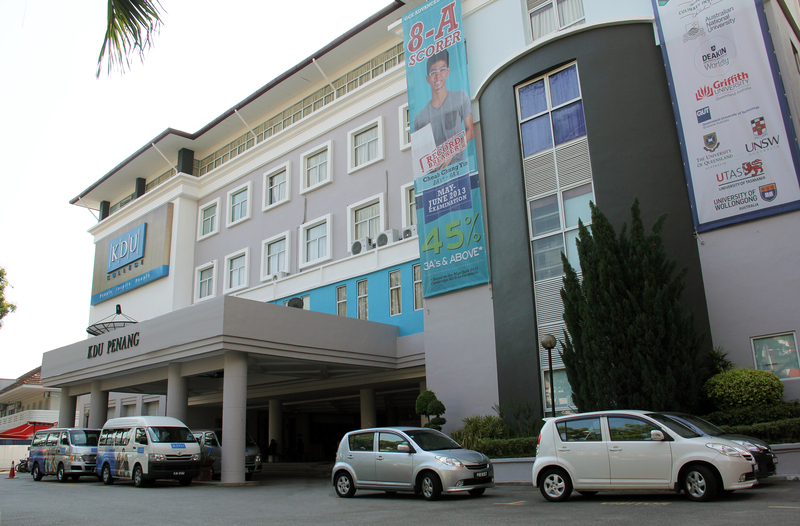 Established in 1986, UCSI University is strategically located on a 19-acre piece of land, the Campus is located in Cheras, Kuala Lumpur with convenient access to numerous facilities including banks, restaurants, transportation services, entertainment, and accommodation. UCSI University is a top rated university in Malaysia with a Tier 5 or Excellent ranking by MQA in the SETARA 2013. Fully wireless, it is equipped with the latest cutting-edge technology to access the world of e-learning and e-resources. Housing 7 different blocks, the Campus includes the Student Centre (Menara Gading), the Resource Centre, the Academic Blocks and Residential Halls to comfortably accommodate a student population of more than 15,000. 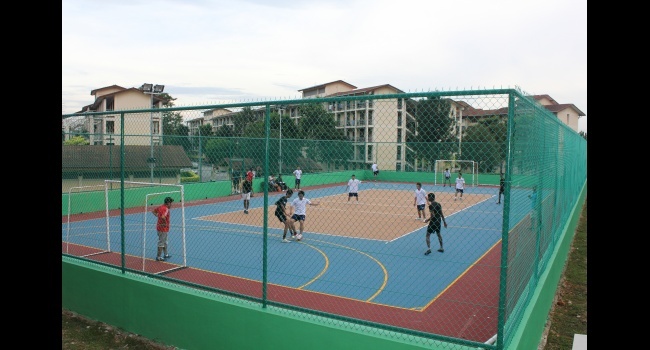 Sports facilities in this Campus include: basketball, badminton and squash courts, as well as a gymnasium, a football field, and a swimming pool. Other facilities include the four-level library, an auditorium, a recital hall, a multi-purpose hall, computer laboratories, residential halls, bookstores and cafeterias. KBU International College offers the most affordable 3+0 UK degree programme in Malaysia supported by excellent facilities on a 13-acre campus strategically located in the safe area of Bandar Utama. The Bachelor of Arts (Hons) Business Management awarded by Anglia Ruskin University, UK offered at KBU International College is 3 years in duration and students can apply for the PTPN loan to support part of their studies. KBU International College offers practical and relevant programmes that gives their graduates an edge in employability. The development of professional and transferable skills is a key feature in every module in order to ensure that their graduates continue to be well-placed in the job market. The three-year degree provides students with technical ability and knowledge specific to finance and accounting. Students will acquire the technical language and practices of accounting and the application of information technology, communication and analytical skills. Upon completion, students will be able to demonstrate skills in preparing financial statements, performing analysis and delivering financial projections which are much sought after by industry and commerce. Ever since its founding in 1986 to provide affordable quality educational opportunities for Malaysians, HELP University has developed into the leading institution of higher learning in Malaysia with a firmly established international reputation among universities, research organisations, scholars, business and corporate leaders and governments in Asia Pacific, Europe and North America. The University of London International Academy collaborates with 12 Colleges of the University of London to offer flexible and distance learning programmes worldwide. The University of London is a federal university comprising 18 Colleges and a number of smaller, specialist Institutes. In the following table, the Colleges marked (*) are those which offer distance learning qualifications through the University of London International Programmes. The academic direction of UoL programmes – including the development of syllabuses and learning resources, as well as the assessment of International Programmes students – is the responsibility of a particular University of London College (or consortium of Colleges), known as the ‘Lead College’. The University of London International Programmes is regularly audited by the Quality Assurance Agency (QAA), an independent body which safeguards the standards and quality of UK higher education. Following an institutional audit of the University of London International Programmes in May 2011, the highest judgement of ‘confidence’ was delivered by the QAA. The University of Derby (UoD) is a modern and innovative university with 160 years’ of history. In the Guardian Universities Ranking 2015, UoD is ranked 26 for Accounting and Finance, and 37 for Management, Business, Marketing disciplines, making it among the top 10% of UK universities. It is also ranked 1st for student support and 3rd for lecture quality. The University of Derby 3+0 degree Business Management program is offered in-partnership with the Department of Management (DOM) of HELP Academy (part of the HELP’s Group of educational institutions). DOM has over 28 years’ experience teaching UK twinning programs in accounting, economic and management related fields and graduated over two thousands students. College’s own business degree with 7 majors to choose from or you can go for the Bachelor of Business (Hons) with Law. The Bachelor Business degree is offered at KDU University College’s new campus at Utropolis Glenmarie. The competitive world of business today is such that, cross and inter-disciplinary knowledge is no longer considered an advantage, but a necessity. KDU’s new Bachelor of Business (Hons) programme allows you to obtain a basic foundation in business, with seven majors to choose from. Not only will you be able to craft your degree with the flexibility of a double major or major/minor, you can also pursue your interests from a wide range of electives offered from different disciplines across schools in KDU. You can choose to major in Accounting, Economics, Marketing, Finance, Human Resource Management, Logistics, or Management. Founded in 1996, Nilai University offers you the total student experience at their 105- acre campus which is ensconced in lush greenery, providing you with a peaceful environment ideal for your studies. of Business, Information Technology, Engineering and Hospitality. In addition, the University, as one of the first institutions approved to run 3+0 programmes, offered students an opportunity to be awarded internationally recognised degrees, without leaving Malaysian shores. The University’s dedication and commitment was given due recognition when it won the Malaysia External Trade Development Corporation (MATRADE) Industry Excellence Award (Services) in 2003. Nilai University, has been given a ranking of 5 or Excellent in the SETARA 2013 & 2011 by the Malaysian Qualifications Agency. Established since 2009, EduSpiral Consultant Services helps provide information and counselling on courses and universities in Malaysia. EduSpiral Consultant Services also represents MDIS Singapore and Hong Kong Polytechnic University. students to choose from. These colleges and universities offer value for money in the quality of education and excellent facilities that you get. thanks for your sharing, i like this business topic, it is very useful for me. i am looking forward to see you share more information in the future.